Happy New Year from AAI! 2013 was a good and busy year for your AAI primary contributor. 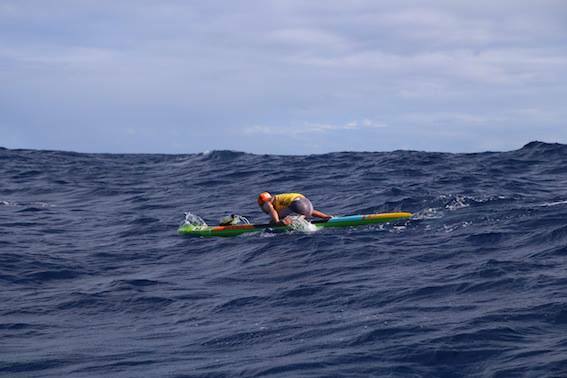 I’ve paddled a traditional paddleboard for about twelve years now but committed to a dedicated year of competition in 2013, knocking off my first Molokai 2 Oahu crossing with a surprisingly good result and a win (!) against a small but core group of prone paddlers at the Chattajack 31 in Tennessee. I’m over 40 but feel like a kid again and am going to channel my current paddling obsession into another year of competition. If all goes well, I’ll repeat the Molokai 2 Oahu crossing and add a first time result in the famed and highly-competitive Catalina Classic. If you’re in Toronto and prone paddling looks interesting get in touch in the Spring. I’d be glad to loan a board and go for a paddle. This is all to say that AAI suffered slightly from paddling-, family- and practice-induced anemia in 2013. We posted about 75 entries. They were on the most relevant of content, selected more conservatively than in years past, but this was lower output for a blog that’s now has 825 entries since its birth in the summer of 2007. We’ll aim for more of the same in 2014, thank you for reading and hope you enjoy. We hope you had a nice holiday and are feeling invigorated and ready for a good 2014!